I put my M8 face down on a table today and noticed that it rocked corner to corner. I have a TPU case on it and only carry out in my front pocket and my pants aren't too tight. Took the case off and the phone is slightly bent. Same thing happened to my EVO LTE. Didn't affect the function of it and never got worse over time. Hopefully this one will be the same. Wow, hadn't heard that before. What are the odds you would have 2 different phones that are warped or bent that causes a rocking. Weird. Maybe take it to an auto body shop to get the frame straightened or an alignment. 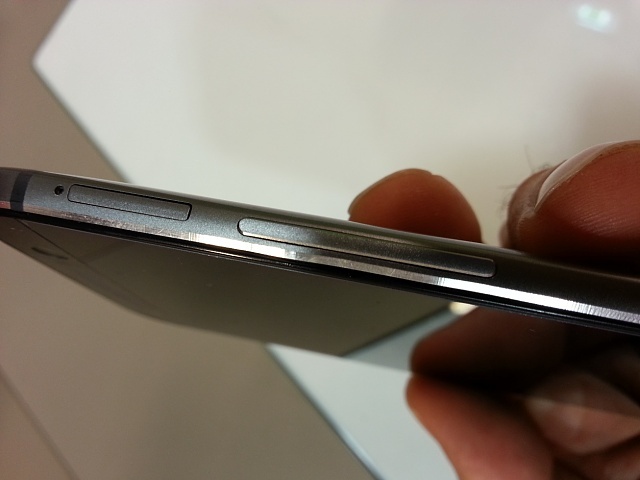 I think all phones are a little bent to an extent. They aren't all perfect. I've had a lot of phones and a lot of them had done kind of bend somehow. Not all but a few. Now you guys got me wanting to check and see if mine is bent. Just checked, and nope my M8 seems square and true. It wasn't bent when I got it. This was a fairly common problem with the EVO LTE. As long as it doesn't affect the functionality, it doesn't bother me that much. It's more of a curiosity. A negative side effect of metal, it bends. As opposed to plastic, which just breaks? Last I checked plastic is flexible. Had the s3 for 2 years. No cracks it scratches, didn't use a case. And is not bent. Had the EVO LTE for 2 years. No cracks or scratches, didn't use a case. And is not bent. Sure the table was 100% flat? Yes. I'll post a video of it later. Hey, Can I see a picture of the bend? 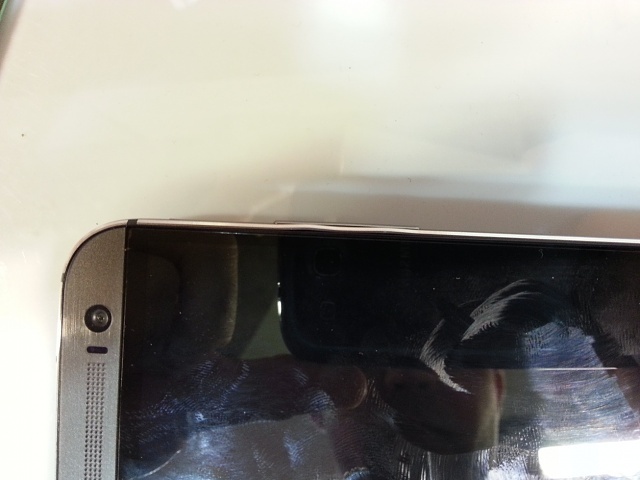 My M7 is also bent, and hard bricked (QHUSB). I will send it to warranty tomorrow and see if they fix it for free. My phone was also in a TPU Case. After 1 month of normal use, the metal part between volume button and the screen bend, for HTC service the problem is not cover by the warranty and when I asked why it's bend ?? until now there's no answer. For a product that cost 600 €, this is a poor quality material and services. #bendgate ? but cant you just push it in? First, I try to push it back but unsuccessfully. The metal is very poor quality and its reliability can't be compare with my Samsung GN3, longer and stronger but faultless always in my pocket or the Iphone of my wife. "Normal use" wouldn't cause this. Are you sure you didn't drop it or get it caught between something? Looks to me more like a dent than a bend. I agree that didnt just happen for no reason. You are not alone. 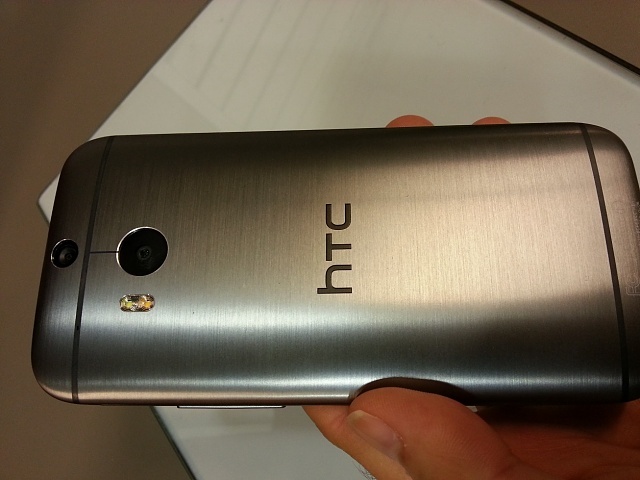 I just got my HTC One M8 from Verizon, I haven't had it a week and I noticed that it is slightly warped. I tried it on different flat surfaces and it is warped. Makes you mad when you have spent this much money and it already has a physical defect although the performance is great. I was thinking about adding a glass screen protector but that may be out of the question now? Um no not even close. Anyone with an HTC One (M8) on T-Mobile? Google Now making Google Play All Access sound better on the M8? Does the M8 require GPS to update the weather app?